We like TV. TV is fun. And CBS is one of the better networks going these days. 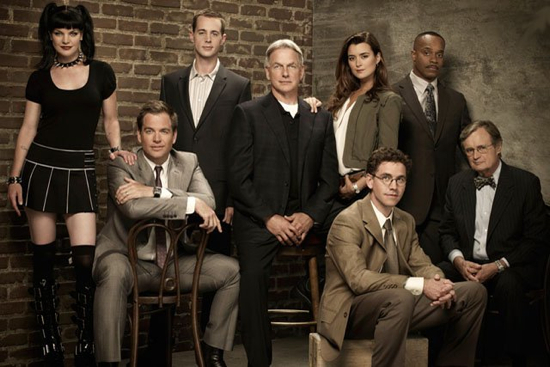 Yes, we like NCIS, what of it? So, when they announce their Fall 2013 premiere dates (which they’ve done today), we listen and bring that info straight to you as soon as possible. Although, there’s really no hurry. Most of the shows we like to drop until the week of September 23. That’s right, CBS likes to keep it traditional and will debut most of the new seasons of its shows during that week. There are, of course, some exceptions and omissions. For example, Survivor is starting a bit early, with a 90-minute premiere September 18. In addition, CBS also set a February 24 premiere date for new drama Intelligence but so far hasn’t given dates for new drama Reckless, new comedies Friends With Better Lives and Bad Teacher or the returning Mike & Molly. CBS has announced its new Fall schedule for 2013. Most of your favorite series are still there, but they might be on different days. There’s also five new series hoping to catch your eye. The Big Bang Theory and Two A Half Men flank new series The Millers starring Will Arnett and The Crazy Ones starring Robin Williams. Missing from the fall schedule is Mike & Molly and new series Friends With Better Lives and Reckless which will arrive midseason. That’s fine, as long as we keep getting more Big Bang Theory and Elementary. We like those shows quite a bit. You have to like the way CBS takes care of business. They don’t give out info about what series they are renewing in little bits, they just pretty much let it all out at once. That’s good, especially for those of us who don’t like to wait. So, with that in mind, the network announced renewals for most of its current series for next season, with two big exceptions: Criminal Minds and Vegas. Criminal Minds is in the middle of cast negotiations so nothing on that yet and Vegas hasn’t done that well in the ratings so CBS is going to try it out on Friday nights later this year. However, lots of other shows got the green light for a new season. Among the list are Elementary, The Good Wife, 2 Broke Girls, Mike & Molly, NCIS: LA, Person Of Interest, The Mentalist, Hawaii Five-0 and Blue Bloods. The shows join the list of others already renewed including The Big Bang Theory, How I Met Your Mother, NCIS and CSI. Also picked up for next season are shows we care less about such as The Amazing Race, Survivor and Undercover Boss, 60 Minutes and 48 Hours. So yeah, that’s a lot of shows. Glad to see Elementary will be back for another season. That show is starting to grow on us, as are guilty pleasures Hawaii Five-0, NCIS and yes, even 2 Broke Girls — but mostly for Kat Dennings. Hey, can you blame us? Even with all the hoopla surrounding Comic-Con in San Diego (you do know it starts tomorrow, right?) we can’t forget that there’s other things going on in thwe world. A few days ago, we brought you the final trailer for Adult Swim’s newest show, NTSF:SD:SUV::, one that we’re pretty excited about. The premise is that this show is to CSI, NCIS, and 24 like how Childrens Hospital is to Grey’s Anatomy, Private Practice, and House. With a pretty amazing cast including Kate Mulgrew (Star Trek Voyager), Rebecca Romijn, Rob Riggle, and Martin Starr, the show was a pretty big success here at Comic-Con, as it debuted to a full audience on Thursday during its first panel. We got the chance to speak with the man who came up with the idea as crazy as this: Paul Scheer. Some may know him from VH1’s I Love series, and some may know him from FX’s The League, but everyone will soon know him as the lovechild of Jack Bauer and Horatio Caine, Trent Hauser. Paul talks about his inspiration of the show (a pretty tough question), some of the great guest stars he’s got lined up for this season, and thoughts on a possible crossover with the sister show Childrens Hospital. Take a look at our interview after the jump, and be sure to catch NTSF:SD:SUV:: every Thursday night on Adult Swim. The primetime TV landscape for Fall is almost complete. With NBC, ABC and Fox already releasing their schedules for Fall, CBS now joins in and has announced their primetime schedule for 2011 and 2012 as well. Some of the changes made by the network for Fall include moving CSI from Thursday to Wednesday nights and launching new drama Person of Interest in its place. In addition, The Good Wife will move to Sundays and Rules of Engagement to Saturdays. New series from the network include three new dramas and two new comedies. They are as follows: Person of Interest, a crime thriller from executive producer J.J. Abrams starring Jim Caviezel, Michael Emerson and Taraji P. Henson; Unforgettable, starring Dylan Walsh and Poppy Montgomery as a former detective with a rare condition that enables her to remember virtually every detail from every day of her life. In addition, CBS will debut A Gifted Man about a preeminent surgeon whose life changes forever when his deceased ex-wife returns, starring Patrick Wilson and Jennifer Ehle; 2 Broke Girls, a comedy about two strikingly different young waitresses who form an unlikely friendship, starring Kat Dennings and Beth Behrs; and an odd-couple comedy, How to Be A Gentleman, starring David Hornsby and Kevin Dillon, about a refined magazine columnist and his very unrefined personal trainer. These new series will be joined by 19 returning shows including NCIS, The Big Bang Theory, 60 Minutes, Hawaii Five-O, Mike & Molly, Survivor and The Amazing Race. We’ve been following the networks as they announce their premiere dates and shows for the upcoming Fall season and now we’ve got the official word from CBS on what shows will premiere when on the network. Some of the shows we’re looking forward to include the debut of Hawaii Five-O, The Big Bang Theory season four premiere, the return of the original NCIS and the debut of $#*! My Dad Says with William Shatner. It will be nice to have one of our favorite shows in The Big Bang Theory back as well as get to experience these new ones. Click through to get the full list of premiere dates and keep checking back right here at The Flickcast for all your TV watching news, interviews and more. We’ve already had info for you on NBC, ABC and Fox regarding their new Fall schedules and now we can add CBS to the mix of networks who’ve let us know what they have in store for next Fall. The network is bringing back several of our favorite shows including The Big Bang Theory and NCIS and giving the green light to a lot of new drams and comedies. Some of the changes include a move for Survivor to Wednesday, CSI: Miami is now on Sundays and CSI: New York is now on Fridays. 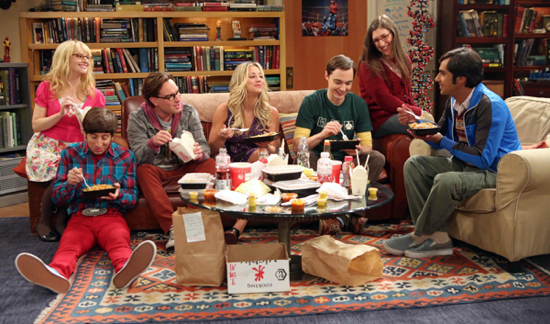 Plus, The Big Bang Theory now kicks off the Thursday night shows followed by newcomer $#! My Dad Says, the original CSI and then The Mentalist. Some new shows include the updated Hawaii Five-O on Mondays, which could be cool, as well as The Defenders on Wednesdays. We will also be getting a Criminal Minds spin-off, which will start midseason. Check out the networks full schedule after the jump.